Earth’s mightiest heroes prove once again to be the Fantasy Comic League’s mightiest heroes. The Avengers make their presence known in three books which results in six of their members claiming top honors in the second week of October. Captain America and Iron Man lead the charge and share the “Hero of the Week” title. 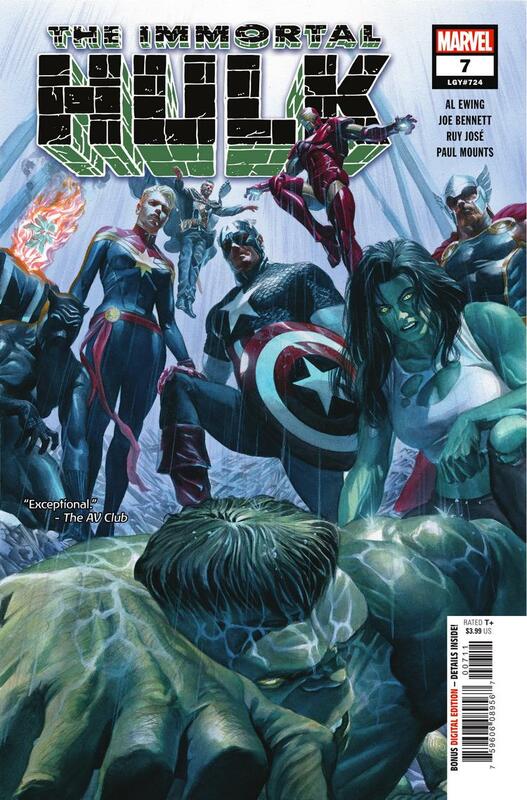 Part of Steve’s 14 points come from his extra appearance in his solo title, while Tony benefits from being the Avenger to take down the Hulk when the heroes confront the Green Goliath. Captain Marvel follows in third and is the only other Avenger to score a Defeats Antagonist. Her teammates channel all their energy through her so she can unleash it on Octobliterator, an octopus-like alien invading the pages of Squirrel Girl. Carol channels 13 points. She-Hulk serves as one of the Avenger’s secret weapons in their battle with her cousin, but her fight with Bruce is short lived. Fortunately for her she still manages her best performance of the year scoring 11 points and claiming fourth place. Black Panther and Thor are the remaining two Avengers to place in the top of the power rankings. They tie Miles Morales for fifth place with nine points each. The young Spider-Man kicks off the Spider-Geddon event and is poised to benefit greatly as the main character in the story. The original Spider-Man fails to appear in the initial chapter of Spider-Geddon and must settle for eight points in eighth place. Though Otto Octavius views himself as the superior Spider-Man, he trails both Miles and Peter in the standings. He scores seven points in his second week in the league and ties with Fantasy mainstays Domino, Ms. Marvel and X-23 for ninth place.